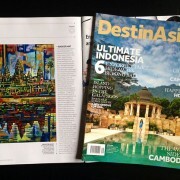 DestinAsian magazine feature: AMak Art is going global! …Well, sort of. 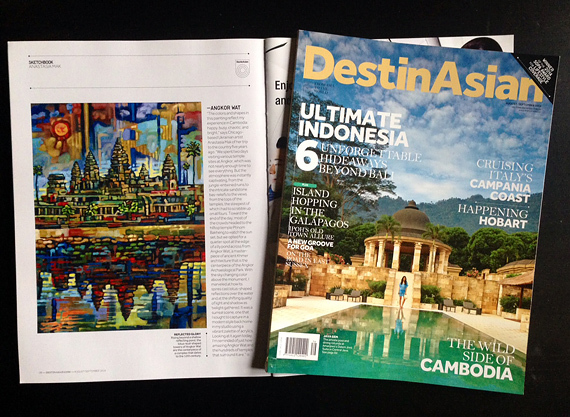 Excited to announce that my “Angkor Wat” painting has been featured in the August issue of DestinAsian – a luxury travel & lifestyle magazine published in Indonesia. 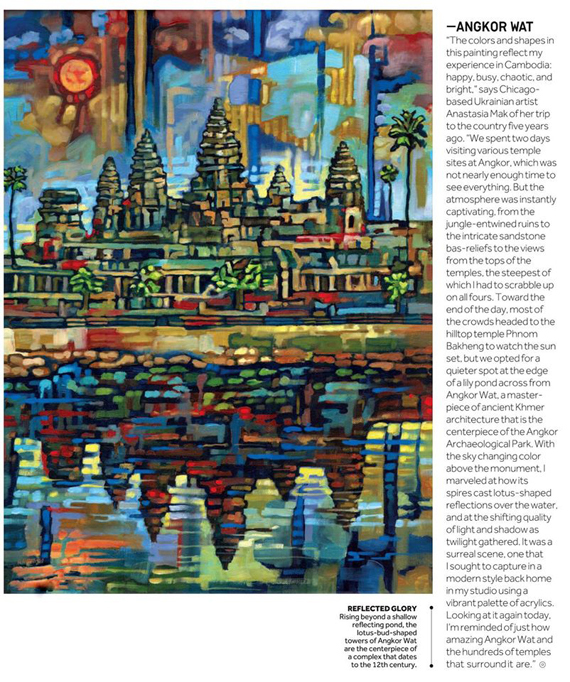 The magazine interviewed me about my trip to Cambodia and wrote a lovely, eloquent copy to go with the painting. 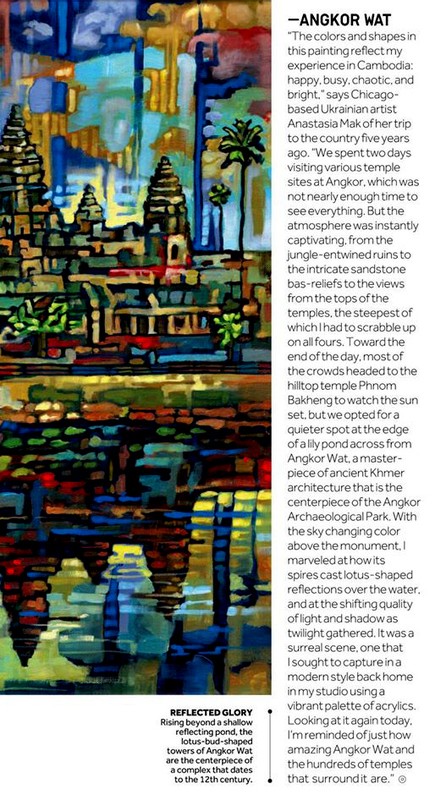 Just read this description – doesn’t it sound like poetry? !